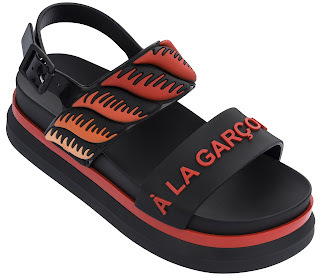 Is it too soon to highlight shoes that are basically full summer sandals? 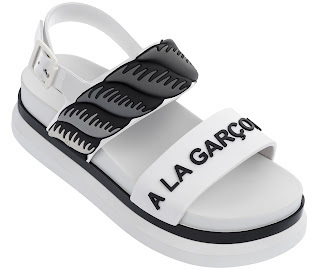 We're more than ready for spring and summer shoes and today we highlight the Melissa Shoes X À La Garçonne Cosmic Sandal II, a favorite sporty style from the Melissa Shoes Family S/S'19 Collection. 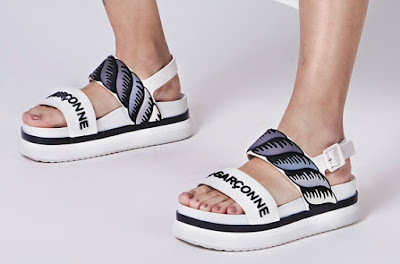 The cool PVC platform sandal is double strapped and is reinforced with rope detailing featuring the collaboration's exclusive signature. The thick heel boast two colors and is extra comfortable. 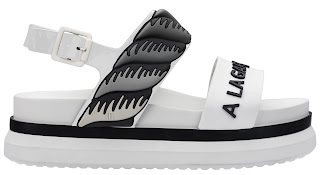 Available in White/Black, Black/Red, and Black/Gray (not pictured), you can get the Cosmic Sandal II for $139.00 on www.shopmelissa.com.